Open frame "demo" Curta Type I from JackChristensen. 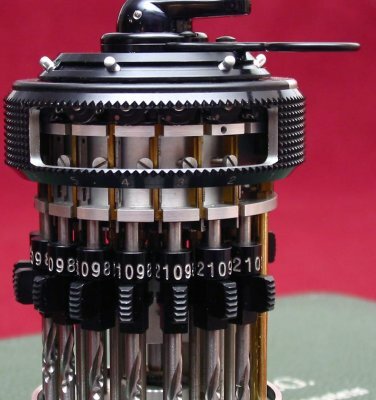 This machine was in a Type I demonstration kit that presented to prospective buyers the high quality workmanship inside the Curta. This particular Curta was serial number 8651.